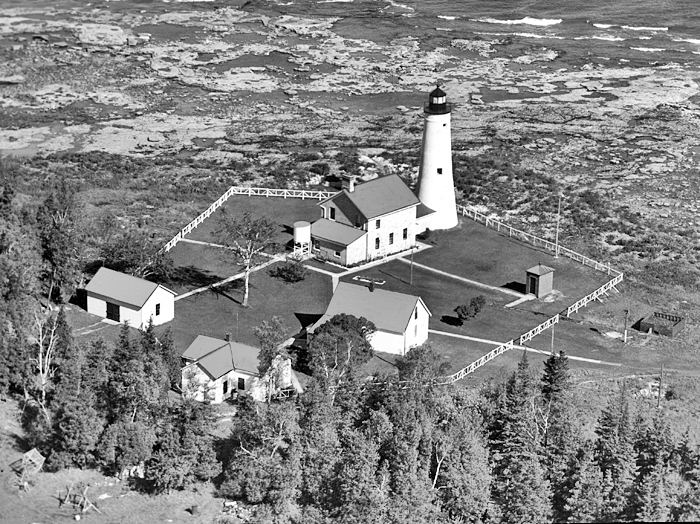 TBIPS was notified that we are the very lucky recipients of a US Lighthouse Society grant for the spring 2019 project of replacing the damaged windows in the lantern room, and addressing the water penetration that has caused extensive damage and corrosion. This grant will also assist in repairs to the section of stairs connecting the lantern gallery and the oil storage level of the light tower. 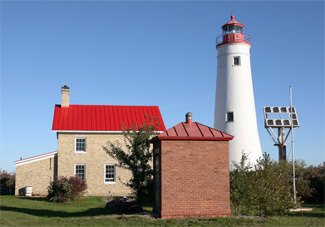 The final stage of this project will be the stripping and repainting of the top of the light tower and lantern room. Painting is considered maintenance, so this portion of the project will have to rely on TBIPS fundraising efforts to finance the completion. The US Lighthouse Society seldom ever awards the total amount of grant request of $10,000, so we are indeed very fortunate to be receiving the full amount! The initial estimates of this complete project is over $46,000, so you can see we need your help. The November 27, 2018, "Giving Tuesday" 24 hour online fundraiser will be devoted to the shortfall for this project. Please visit the home page of our website to see how you can be involved. Great news! Thanks to the generosity of our lighthouse supporters we raised $1,555 during this 24 hour event and as we know--every penny helps! We received notification that our MLAP grant application has been successful. We will be receiving the funds necessary to rehabilitate the roof on the fog signal building back to the Victorian metal shingles that were present when the building was constructed in 1906. Not too soon either! The current condition of the asphalt shingles is so badly deteriorated that there appears to be only the black felt remaining. All of reviews are completed, and the contract is signed. The successful bidder is Meridian Contracting Services, of Alpena. We will add updated photos as the project moves along. We will need to be completed by August 31, 2018. Hopefully the weather will be cooperative this summer. The new tractor has arrived! Hopefully there will be lots of volunteers lining up to take a turn cutting the grass now that we have a new garden tractor. For the first time in TBIPS's history we were able to purchase a new garden tractor. The old Wheel Horse has served us well, just like it need the Detroit Metro Park System for many years, but the expected repair cost did not make sense. We have been fortunate to have support from Alpena Charter Township, and several successful fundraisers this year that made this new equipment possible. Just when we were all beginning to think we would never get the tower repaired before it tumbled over - we did it! It looks beautiful. Cusack Masonry Restoration began deploying men and equipment on July 14, 2004, and by August 16th their work was complete. It is such a fulfilling experience to visit the island and see the tower in pristine condition for the first time in many years. The keeper's dwelling and copper chimney cap are quite a sight as well. The final engineering site visit went well, and on September 1st we had the final site inspection from the Michigan State Historic Preservation Office, and received a thumbs up! Many people worked hard for more than three years on various fund raising efforts. Funds came from Community Foundation of Northeast Michigan, Wal-Mart, and the Besser Foundation, as well as from private donations and sales of Steve Tongue's book "Lanterns and Lifeboats." Again, we owe a huge debt of gratitude to Herb Palmer for his generous use of his boat to transport people and equipment during the grant work, and for our regular work trips. Restoring the tower was a huge undertaking, and we all take great pride in the accomplishment.